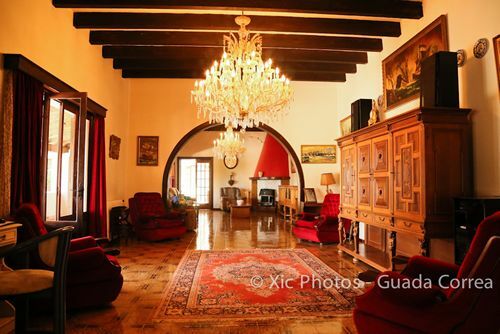 Majestic villa, beautifully situated in a private and peaceful location on 1.7 hectares (4.2 acres) of land in the exclusive area of Pollenca. 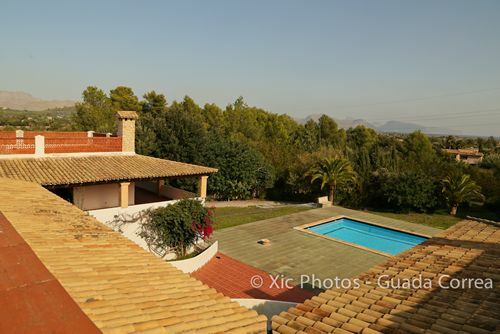 Located between the historic town of Alcudia and the beautiful Porto Pollenca in the picturesque northern part of Mallorca. Overlooking the bay in the east, the property offers 7 double bedrooms (3 double, 4 single), 6 bathrooms, tennis court, large swimming pool and patio, expansive open plan living area connected by graceful archways, high ceilings with exposed rustic beams, 4 large open fire places, spacious kitchen with mountain views and bar featuring an open fire place and a stunning view of the bay. Originally constructed as the residence of the Belgian Ambassador, the living areas are classically designed with tasteful elegance creating a unique charm. Encircled by beautiful trees, the gardens slope gently down towards the east and to the north and west the property enjoys breathtaking mountain views. From the expansive rooftop terrace a vista of the entire bay of Pollenca can be seen. 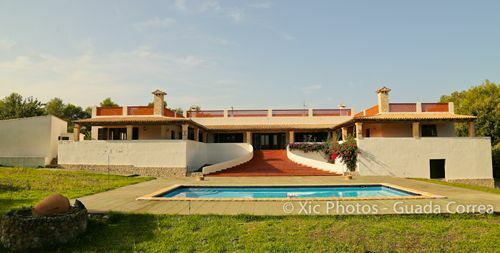 Additional features include, large separate garage with parking for 2 cars, private water well supplying all water to the property, 185 square meters of balcony on the east facing side, a very large basement area with potential for development of additional facilities and extensive lush grounds and gardens. Around the property are extensive grounds laid to lawn with carob, olive, fig and pomegranate trees as well as a wooded area in the far west of the property. The land has fabulous potential for creating a stunning terraced and landscaped garden. The property is in need of some renovation and refurbishment.